Today’s love story comes from Lauren DeVries who write at OrdinaryAwesome.com. It was June 2006. And I was wondering if I’d ever meet someone. I was living a full life – I had a good job, lived in Milwaukee – a fun city, and had great friends. I was actively involved in my church – singing and volunteering in youth group. But there were no prospects on the horizon. Where was I supposed to meet someone, anyway? I began journaling my prayers, and asking the Lord what he wanted to do with my life. My real passion was missions. I attended a weekend workshop with a missions agency to see if it was for me. After much prayer and counsel from my parents and other people I trusted, I declared my intentions to the missions committee at my church to pursue an opportunity in Sweden. At the same time, I made a profile on a site called ChristianCafe.com at the beginning of June. 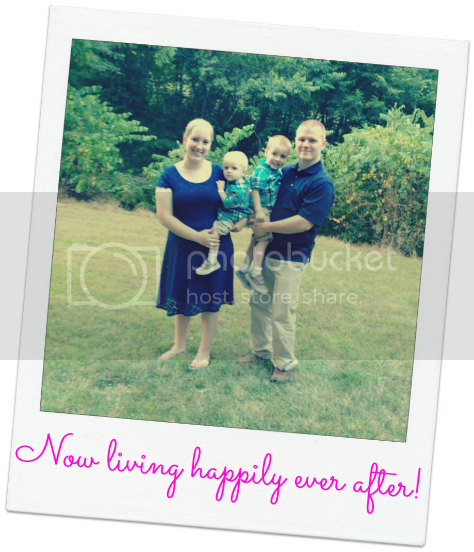 Even though I was prepared to be a single missionary, I deeply wanted to be married and have a family. Meanwhile, there was a guy named Steve across the lake in Northern Michigan. He was building his own business, working hard, and volunteering with his church’s youth group. He was going on dates and taking initiative, but he didn’t seem to click with anyone for a lasting relationship like he was praying for. His ChristianCafe.com account was no longer active, but one weekend in June they sent an email saying he had a free week. It started with the pot roast recipe, he wrote back. We exchanged a few emails and then he went silent. I wondered if that was it. After a few days he was back. He had had to pay $30 for a month membership. He would later say was the best $30 he ever spent. We decided to talk on the phone. He had a nice voice, and we talked for a long time. We both knew we weren’t in this for a few laughs and dinner out. The only reason we were communicating was to see if this could work for the long haul. So there was no time wasted beating around the bush or putting off big questions for later. We meant business. How many kids do you envision? Is divorce an option? How do you view your role in a marriage? What are your dreams? How do you deal with money? He asked if we could meet in person. I did a background check. I mean, this guy could be all talk. He checked out. We met the weekend of the 4th of July in Holland, MI. It’s strange meeting someone you’ve only seen in pictures for the first time because their face is no longer frozen in one position. You can see now what they look like when they talk and their body language and how they laugh. I will always remember meeting Steve for the first time. We hit it off, and he met my sister and close family friends of mine since my parents live overseas. Next I met his family. Everyone seemed to approve and we became surer and surer. By Thanksgiving we were ring shopping. So there we were – on the eve of his birthday, approaching the Eiffel Tower at a few minutes to five, and he stopped, turned around and hunched over to find something in his backpack. Then he turned back to me with a box in his hand, and said “Will you marry me?” Of course it was yes, and we kissed and I cried and the Eiffel Tower exploded in twinkling lights as the clock turned to five o’clock. We got married on May 26, 2007. I’ve spent 760 words telling about the beginning of our story, but it would take days to tell the fullness of our story to date. We’ve launched a business, moved three times, brought three children into the world and lost two before we knew them. We’ve weathered some hard things we never saw coming. And I can see it on our faces – we are not the same people we were the day we promised ourselves to each other. Our love has deepened and grown. It’s been tried and stretched. We’ve wronged each other and forgiven. We’ve laughed hard and grieved hard. He is so much more than I knew the day we got married. He has been Jesus to me. Isn’t that such a sweet story? And their little girl? Precious!! Did you catch what her pastor said? “You never know what kind of impact a family living for Christ can do in the world. There will always be unsaved people wherever you are, but there will not always be someone to do life and ministry with.” Do life with. I love that! 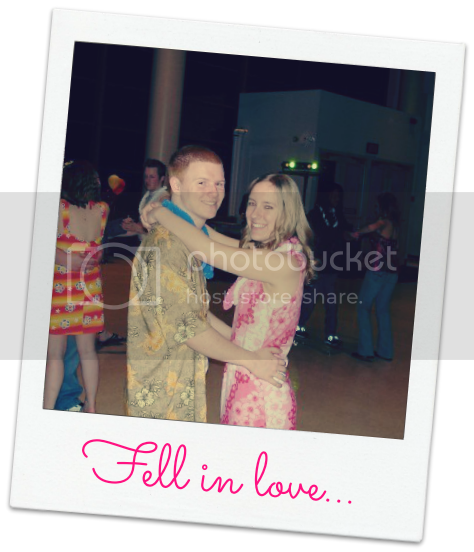 Today’s love story comes from a good friend and fellow contributor, Karrilee from Abiding Love, Abounding Grace. She’s an excellent writer and I just know you’ll enjoy her story! I was all of fourteen, with my big hair, lace gloves, and my Madonna-playing walkman… and I made a vow! I meant it with all of the determination and strength that was in me. I looked around at my parents and siblings and classmates and decided then and there, I was NOT going to meet the love of my life at fourteen. 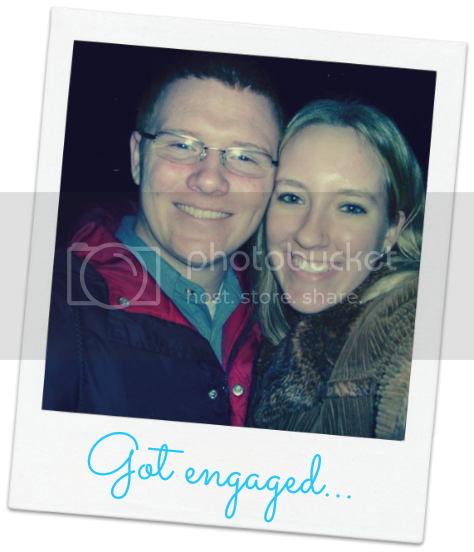 I wasn’t going to fall in love and marry my high school sweetheart! It’s not that the relationships around me were necessarily ‘bad’ however it seemed as though in each coupling, there were communication skills or anger issues, or jealousies that never seemed to mature beyond the out of hand wild teenage emotions! I wanted none of it. None. Of. It. I purposed in my heart to live a little, to really grow up, find myself, to gain a perspective on who I was and who I wanted to be. So for the rest of my high school days, I dated a little here and there but I stayed true to my vow. In fact, there may have been a boy or two who could have captured my heart. But once I recognized that free falling feeling, I would cut it off. We’d go back to being ‘just friends’. It wasn’t going to happen. This may have not been fair to the Boy, but I was protecting my heart. I would not compromise or give in. For the most part, having avoided many heart breaks and drama, I enjoyed my teenage years. It wasn’t until the ripe old age of 19 or 20 that I began to consider wanting to really fall in love. My life was not unfolding the way I had intended and yet I was not unhappy…just searching. However, in all of my searching, I was finding pieces of me along the way. I suppose right about here I should say that I was not raised in a church-going, Christian home. My parents were both made to go to church as kids and they took the opposite route – wanting us to WANT to go (or not) on our own. With little to no direction, we grew up rather clueless. We dabbled quite a bit in New Age thinking and speech… and it was for Mother’s Day, when I was nearly 21, that the women in the family all went to a Tarot Card reader for some girl bonding time. It was there that the woman ‘read my cards’ and told me to start making a list. In all her gifting and discernment, (which I am sure she had some) she looked at this single 20 year old and saw my romantic soft heart and boldly proclaimed that my soul mate was right around the corner! She encouraged me to make a list of characteristics that I would want in a mate… make it long and detailed… go beyond looks and style… and then watch for him to cross my path! Soon after that, a friend of my brother-in-laws’ moved back to town and found his way over to their home – which just so happened to be right across from my home. My sister and I are best friends, and spent a lot of our days together, so it was simply a matter of time before I stopped by, and eyes (mine blue, his brown!) connected, sparks flew, and so it began! Immediately, I started taking notice of his character… Weeks turned to a month or two and we were friends getting to know each other when I realized that he was meeting almost all of my crazy long and detailed list. One night he was mentioning how he really had no clue as to what brought him back home from across the country. Of course, my sister and I glanced at each other, thinking of the psychic and both were thinking that we knew! In all of our talking, we began to get real and to get honest. I was New Agey and he was raised a Pastor’s kid. He hadn’t been living for God, but he knew one day he would. I wasn’t so sure. It was on a trip to England with his parents a few weeks later that I met and began to fall madly in love with someone else. Well – ‘Someone’ else, that is. In a few short months, after an unfolding season of searching – for myself… for a bigger picture… for a mate… it seemed that I was finding all of my answers in two Men… two who would quickly become my husband, and my Husband! That was 22 years ago this month that I had the joy and the honor of falling hard and completely for two Men at the same time… and to this day, neither one of them have let me down. Karrilee is a wife, mother, daughter, sister and friend. She is a writer, reader, pray-er, photographer, artist, beach lover, laugh seeker…serving God to the best of her ability. She lives in the Pacific Northwest with her husband and nearly grown girlie. She is passionate about diving in deeper with the Lord and inviting others to discover His love for them. Her life message is…Speak Life. Be Love. Shine On. Karrilee loves to share her heart and what the Lord is speaking to her over at Abiding Love, Abounding Grace. Isn’t that a fabulous story? I’m still grinning from cheek to cheek just thinking about how the Lord worked in her life. You can connect with Karrilee on her blog, Abiding Love, Abounding Grace. She is also all over Bossy Social Media (and clearly has a love/addicted relationship with it!) You can find her on Facebook, on Twitter, and on Instagram as well! 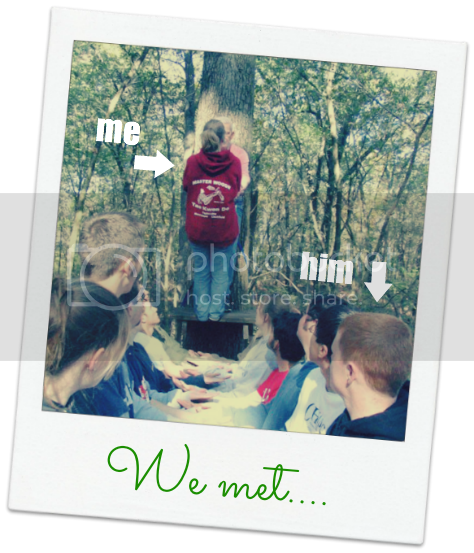 Today’s “How We Met” story comes from one of my good friends. Danielle writes at Family Centsability. You should check her out, she makes fabulous printables for little ones learning to write! It was August 2005. I had been accepted into the honors program at a local community college my freshman year. The benefits of the honors program were far more than I ever expected. Not only did I get to participate in exclusive activities and classes, have a private lounge to hang out in between classes, but I also met my future husband! He says he noticed me right away as he sat by me in biology that morning. After our first week of college, Daniel’s uncle asked if he had met any girls. He said he had, but that she unfortunately had a boyfriend. His uncle probably thought it would pass and that he would find someone else. But, for him it was love from the first day. For me, it took a little longer to realize that our friendship was leading to a lifetime together. We became friends, as most of the honors program students did. There were several afternoons spent talking in the lounge, classes together, and mutual friends who saw it coming before I did. We even went on an retreat to a local boy scout camp where honors students participated in group activities and spent a lot of time talking and laughing. Still, I had no idea. It wasn’t until the second retreat that someone made it clear to me. He liked me. I felt flattered and didn’t know what to think. My boyfriend and I were still dating but we were slowly pulling apart as I was 45 miles away in college and he was a senior in high school. As time went by, my boyfriend and I mutually decided we weren’t meant to be and called it quits. Daniel and I continued spending time together at school and outside of school. In November, he asked me officially to be his girlfriend and as much as I should have seen it coming, I was surprised and so happy! We had a lot in common and it just felt right. We continued spending almost every day together, meeting at our cars as we arrived at college each morning and walking into classes together. Everyone said we were the cutest couple. There were even a few other couples who had met in the honors program, but none lasted like we did. Our first Valentine’s Day together, I gave him a home made card with a cute coupon for ‘one life, spent with the one you love.’ It was just a cute idea and he loved the card. This comes into play later. Daniel and I graduated from our community college in Spring 2007 and moved onto Illinois State University. We spent our first semester in the residence halls. He jokingly proposed occasionally with wire rings he’d make from paper clips. We talked about it and knew we would eventually get married. During Fall break, we took a road trip together to New York City. We spent the first day in Philadelphia to meet up with his mom, stepdad, and two sisters. The next day, we went to New York City and spent all day walking. We went into the city again the next day, going to the Museum of Modern Art, and walking through Central Park. Several times, Daniel tried to get us to take a break and stay in one place for a while. I knew if I stopped moving, my feet would be too sore to start walking again, so I kept us going. Finally, he pulled me over off a walkway and told me to look at a light. I was so confused but looked. He was standing behind me, and nervously handed me a small piece of paper. I couldn’t see it because it was dark, but I knew what it was – he had secretly cut out the coupon from my Valentine’s card and laminated it, and kept it all this time. As I turned around, he knelt down and asked to redeem the coupon, and for me to marry him. I can’t remember everything he said, but I know that instead of immediately saying yes, I just kept saying “how?” I had no idea this was coming and had no idea how he had the money to get a ring. Daniel had bought the ring a year before, waiting and planning for the big trip. The reason I thought he had no money? He had spent it all on my ring! His younger cousin had gone with him and as much as I figured she couldn’t keep a big secret, she did wonderful at it. And the ring was perfect! It was everything I ever wanted or dreamed of in a ring. Six months after our engagement, we married in May, 2008. Daniel was able to get a job at the campus apartments where we moved to and we graduated from ISU in December 2009. Shortly after, we decided to make our dreams come true and move to Hawaii. After 10 months in Hawaii, we both felt it was time to move back to Illinois. We didn’t have any reason to think we needed to but both just felt like it was time. My husband was even on his way to being promoted at his job. The night before we flew back to the mainland, we found out we were pregnant with our first son! He was born on our 3rd anniversary, followed 18 months later by his little brother. Daniel is my best friend, my soulmate, and the most wonderful father to our kids. We’ve been married 6 years, but it’s only just the beginning! I just love this story and aren’t her little boys just the cutest? I would love to tell a story about how my wife Dora and I met in high school. Gazing at each other across a senior math class then going back and telling all our friends that was the person we were going to marry; but that just wasn’t the case. We grew up five years and over 200 miles apart. Both of us got married right out of high school, hers lasted a little over a year, mine lasted three. Her second marriage lasted 23 years and mine lasted 12. Fast forward to the year 2001 and we found ourselves single parents in our 40’s living about 100 miles apart. After my second divorce I could see myself headed down the same path. And we’ve all been told the definition of insanity is doing the same thing over and over again while expecting different results. After much time in prayer the Lord gave me three simple rules to keep me out of trouble: I could date all I wanted, but I was not allowed to share my roof, bed, or bank account with anyone until I got married. Now I know there are people today even Christians that will tell you that kind of Victorian era thinking just doesn’t work in this modern day and age. My response to that is: we give our kids boundaries all the time to keep them out of trouble. So what’s different with God doing the same for us? I also did something that some Christians wouldn’t do: I met my wife online through a dating site. People will tell you with all the crazies out there that is about the dumbest thing that you can ever do. In my opinion there’s nothing wrong with online dating you just have to use common sense. The important thing was both of us had gotten back into church and were letting God show us what was important. We both went through the stage where we wondered at our age if we would ever find somebody. As a Deacon at my church I was busy going to functions and standing at the front of the congregation by myself with the other deacons and their wives. Dora was busy reading articles about how the older she got the fewer men were available for marriage. Unknown to each other we both came to the same conclusion that if God wanted us to be single for the rest of our lives then so be it. We both happen to be members of a group called Yahoo Christian Singles of Southeast Texas. The really funny thing was I had restricted myself to only women in the local area. Because of my duties as a Sunday school teacher and Deacon I knew I would not be able to date someone that lived very far away. However unknown to me these were my rules and not God’s. I looked at Dora’s profile online and started a letter to her introducing myself no less than three separate occasions. On every one of those times I deleted the letter telling myself God would not want me to date someone that lived 100 miles away. I had a full-time job along with my duties at the church and needed to find someone local. On a Monday afternoon in the spring of 2001 I was sitting at my computer doing paperwork. Since I was online I was automatically signed into the Yahoo group. Suddenly an instant message popped onto the screen and it was from none other than Dora. It seemed we were the only two people in the group signed on at the time. And to her this was a kin to exchanging a pleasantry as if we were sharing an elevator. We began a conversation on the computer which graduated a couple days later to a phone call which culminated in our first date, the following Saturday. What I discovered was that God has a way of making things work out even if we didn’t live close to each other. The road hasn’t always been a smooth one. In 2007 we lost her son in an ATV rollover accident. In 2009 my daughter was diagnosed as severe bipolar. I found out I had colon cancer during the week of Thanksgiving 2011. Then right around my six month checkup Dora went in for tests and discovered she had kidney cancer. At the time of this writing we just celebrated 13 years and are both cancer free and continuing to do God’s work. Our Wedding Day, September 22, 2001. While we were planning our wedding she specifically told me she didn’t want one of those little plastic bride and grooms on the wedding cake. So me being a pilot naturally I opted for an airplane, she loved it. Some grandmothers knit, Dora on the other hand….. She is a prior service Marine, nine years on active duty. I LOVE HER SO MUCH. Our 11th wedding anniversary. Dora went in on a Monday for surgery and we were back home on Friday. The following Wednesday we were back in the hospital because she couldn’t keep anything down. This is my travel coffee cup and her IV bag and I’m making a toast to us. I told her it wasn’t the most romantic place we had ever been but it was by far the most expensive. We actually work for the same company. Less than a year after we were married my boss took one look at her resume and instead of handing it to a friend of his at another company he hired her. Although we work in different divisions she does get the chance occasionally to ride in the company aircraft. Aren’t they just sweet together? I read something, somewhere near New Year’s 2002 that suggested writing letters to the partner you hadn’t met yet. I was a single mother with two kids, one of whom had special needs–and I felt so ready to be in a relationship again. I started writing those letters on New Year’s Day. I thought about a man who was maybe as lonely as I was, waiting for me like I was waiting for him. I thought he’d be funny and kind and patient. We went to a 50’s diner and a drive-in movie for our first date on August 3. He was funny and kind and patient. And he was lonely, like I was. Exactly one year later we were married, on the anniversary of that first date. That was eleven years ago and he makes me laugh as much now as he did then. He’s the father that my kids deserved and the husband that I wondered if I’d ever have. In December 2004 we had a baby girl and our little blended family was complete. My first husband was my high school sweetheart and for a long time I wasn’t sure if I’d ever be able to fall in love again. It took a long time for my broken heart to heal. Kevin taught me to laugh again and to be okay with hard times, because we’re always in it together. I can’t imagine my life without him. Isn’t that a sweet story? I love it! Chris and I met on the first day of Biology Lab, our Freshman year in a small Christian college, in 1996. I was running late to class, as usual, and when I got there, I realized there were only a couple of seats left. I was painfully shy and hated standing there with everyone staring. So I quickly decided to be brave, avoided the geeky guy at the other table, and sat at the table beside this really cute guy smiling and inviting me to sit beside him. Chris had the sweetest, biggest smile that I loved instantly. We got to know each other, and became friends, hanging out together in groups, and then hanging out together exclusively. Come to find out, Chris and his roommate used me for my car for a few months, since neither of them had a car! But in the meantime he grew to be attracted to me too. We dated all 4 years during college and were inseparable. Our grades suffered at times, but we were in love. Chris and I were one of those mushy, PDA couples that made everyone sick! He proposed to me after Christmas break our senior year. He led me blindfolded to the swing on the front porch of my freshman year dorm, where we had spent countless hours together that first year. He got down on one knee and proclaimed that he wanted to spend the rest of his life with me, then he asked me to marry him. We were married 8 months later, shortly after we both graduated, on August 5th, 2000. He became a golf professional, and I became a public school teacher. We’ve been best friends ever since. Through ups and downs, tragedies and triumphs, sickness and in health, unemployment and times of plenty, we’ve experienced a lot together and our relationship continues to grow stronger with each passing year. We have 3 beautiful children, ages 8, 3, and 11 months, and he works very hard to support our little family so that I can stay at home and homeschool them. I can’t believe we’ve been best friends for 18 years! That’s half of our lives now. It was August of 92′ when me and my girl were cruisin’ downtown in my 280ZX. (Dallas Cowboys edition, which I wrecked the first week I had it.) We saw these 5 guys with cowboy hats all squished up in a itty bitty car. They were all brothers. We drove past them and one of them stuck his tongue out at me. (soooo mature huh!) I looked at my friend and said “he’s the one“. I don’t know why I thought that but it’s like my heart and mind just knew it. I told you it was a crazy story, didn’t I? I think they’re just darling together. My best friend lived on a quiet suburb street that actually had kids that played up and down the neighborhood sidewalks all day. I grew up on one of the two busiest roads in our city, so I liked spending time at her house. Plus, we just liked hanging out together. Anyways, 2 doors down from my best friend lived this scrawny, but cute, boy that caught my interest. My friend liked his best friend and that was our way into talking to them. We noticed that his friend was not around any more. So, we asked this boy about the elusive missing friend one day as he walked by and we waited on the tailgate in my friend’s driveway. THAT was the first time we talked… over 21½ years ago. He was 15 and I was 16. He was a freshman and I was a junior. For the next week my friend and I spied on him from her house. The front yard. The back yard. The roof. I was smitten… and he knew we were watching. He put on a “show” sometimes pretending he did not know we were there. The day before school let out I wrote him a note. As I ran by him, he was kneeling at his locker, and I just threw the note in. Alas, the second phase of our relationship began. He went to lunch with my friend and I after exams that day. The next day we talked some more. And some more. That Saturday I spent most of the day at his house. We talked about everything and spent the evening talking on the curb in front of his house. Just after Midnight, the “official” first day of my Senior year in high school, I was preparing to leave. Before I stood to go, our conversation had begun to draw to an end. There was that crazy “first date” type awkward silence and then he did it. Colby leaned in and kissed me. Pulled back. Looked at me intensely. “Ummm…” I had no idea what to say. I knew I didn’t LOVE him. Yeah, I liked him and all but wasn’t there just yet. THIS is the man I am going to marry. You see, Colby was not my first kiss. A tumultuous home life of sorts had lead me to have some relationship issues growing up. Colby’s earliest memories of me prior to actually talking to me were all of me hanging out with the guys. I had a boyfriend.. or two or three before Colby. I did not like to be alone. So, for this kiss to completely rock my world… fireworks blasting and all that stuff… yeah… I knew right then and there this was different. That summer we spent almost every day and night together. It was a true summer romance and the type you hoped would never end. It was storybook. No arguments. No problems. But, fast forward another year and everything had changed. Not because Colby and I did not want to be together. But because his parents didn’t want us together. We had to fight to stay together. Then, on October 31, 1992, he was “asked to leave” his house. He did. My parents took him in until we were able to move out on our own. On my 19th birthday, as we were celebrating with my family, Colby pulled up an ottoman and put it in the middle of my parent’s living room. He then said some stuff (I have no clue what because I kept asking him what he was doing and was wondering why my dad was fighting back tears in the corner). Got down on one knee. Pulled out a ring. And popped the question… sorta. Will you marry me… or what? Our engagement was a little over a year. We had to fight more resistance from his parents. I was in college. He was working full-time. We saved what we could to help my parents pay for the wedding. On September 17, 1994, we were married. It had been 3 years, 3 months and 16 days since that first kiss. And the wedding kiss was “almost” as magical. But it “sealed the deal” nonetheless. Vows were made and we were both in it for the long haul.